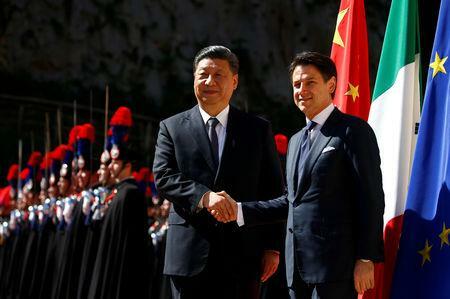 ROME (Reuters) - Italy endorsed China's ambitious "Belt and Road" infrastructure plan on Saturday, becoming the first major Western power to back the initiative to help revive the struggling Italian economy. Saturday's signing ceremony was the highlight of a three-day trip to Italy by Chinese President Xi Jinping, with the two nations boosting their ties at a time when the United States is locked in a trade war with China. Taking advantage of Xi's visit, Italian firms inked deals with Chinese counterparts worth an initial 2.5 billion euros ($2.8 billion). Di Maio said these contracts had a potential, future value of 20 billion euros. The Belt and Road Initiative (BRI) lies at the heart of China's foreign policy strategy and was incorporated into the ruling Communist Party constitution in 2017, reflecting Xi's desire for his country to take a global leadership role. The United States worries that it is designed to strengthen China's military influence and could be used to spread technologies capable of spying on Western interests. 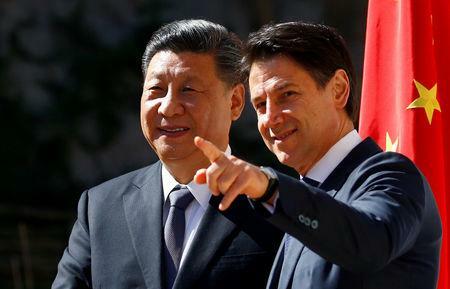 Italy's populist government, anxious to lift the economy out of its third recession in a decade, dismissed calls from Washington to shun the BRI and gave Xi the sort of red-carpet welcome normally reserved for its closest allies. 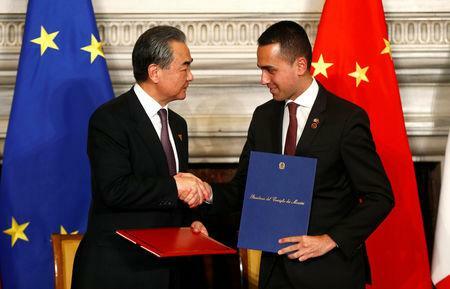 There was not even universal backing for the BRI agreement within Italy's ruling coalition, with Deputy Prime Minister Matteo Salvini, who heads the far-right League, warning against the risk of China "colonializing" Italian markets. Salvini did not meet Xi and declined to attend a state dinner held in honor of the visiting leader on Friday.